7 June 2013. World's first breakthrough for triathletes; plus a MTB world first for Australia; plus you can get 50% off trisuits, 30% off training books & DVD's. Read on to find out all this and more in the latest edition of the TriathlonOz.com newsletter. Behind the scenes over the last few weeks, we've been busy compiling the TriathlonOz Events Calendar yet again. Have you been keeping up? You can always rely and trust on TriathlonOz to be ready with all the best events for triathletes, runners, and multisport adventure racers, so bookmark this page and be sure to check with us for upcoming event inspiration. Our fully revised event calendar - features over 250 events Australia wide. Our biggest ever SALE is on now with over 180 products reduced by 30-50%. Discounts only available on current stock and all stock must go so get in quick, this is a genuine sale. Here's a small selection from the 124 titles available online from TriathlonOz.com & all heavily discounted. Here's a small selection from the 32 titles available online from TriathlonOz.com & all heavily discounted. Men's and women's trisuits in most sizes are still available for purchase at the heavily reduced cost of just $85. This is well below the cost-to-manufacture price but to thank you for your support of the TriathlonOz.com website, we'd like to support you with this great offer. 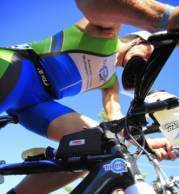 TriathlonOz is privately owned and operated out of Perth, WA. Show your support Australia! Infinity Bluetooth earphones that provide unprecedented accuracy from your ears. Our data sensor technology leverages the natural physiology of the ear to track real-time biometrics that are blue toothed to your smartphone. Measures: VO2 Max, heart rates, cadence, SPM, distance, time, pace, calories burned, set goals, voice feedback and listen to music. Patented sensors use non invasive light technology to measure live blood flow on the capillaries of your ear. Pre-Release offer: $149.00 ($299 at launch). Only 250 units available. Ships in 8 weeks/pay in 7 weeks. Click here to pre-order. The world's longest continuous off-road cycling trail has just been officially opened in WA. The Mundi Biddi trail project has been 12 years in the making and is over 1,000 kms in length. For more info on the trail see the Mundi Biddi Trail Foundation website. If you're new to mountain biking, jump straight into our articles section on Triathlonoz. In the Cross Training section, you'll find Mountain Biking Articles - with articles explaining MTB bike geometry, and another to help you with MTB bike skills. 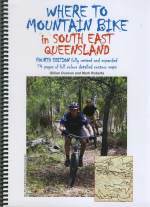 Win a SE Qld MTB Trails Book! We have one copy of the newly released "Where to Mountain Bike in South East Queensland" (fourth edition), worth $29, to giveaway! To enter, simply submit a new thread in our Forum telling us a story about your MTB experiences. It could be a thrills & spills story, a great picture of you and your bike, or something else - it's up to you! The entry that most impresses the judges will be the winner. Hurry, you only have until midnight Monday 10th June to submit your MTB story to the Forum. Support this site by sending this newsletter onto your friends.